God’s own country. That is how Kerala described to everyone who has ever asked about it. I always wondered why people say this just about Kerala, isn’t the entire world God’s own creation? However, once I started exploring this beautiful state, I realized how true those words really were. If you know me well, then you would know that I am not a fan of solo traveling. I have always found the idea ludicrous and scary. But I figured it’s time I give it a shot at least. My first solo trip wasn’t to Kerala, it was to Matheran in April 2017. But it’s not the one that counts, it’s the one which made me fall in love with solo traveling. And that was the one from Munnar to Kovalam, in just 14 days. I had a plan to visit Munnar for a 3-day weekend. Nothing more, nothing less. I didn’t have anything booked before reaching Munnar, as coming from Hyderabad is a pain, so I figured I will travel to Bangalore and then commence my journey from there. I had nothing booked for the entire weekend except for my stay. However, somehow I reached Munnar safely and had a splendid time over there and I met a fellow traveler who was staying in my retreat itself. We hung out together and as she made her way to Alleppey, she asked me to join her. 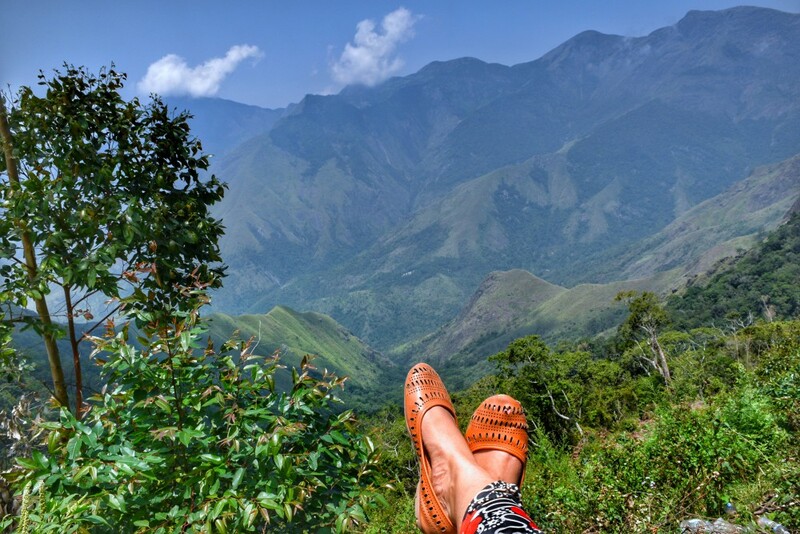 I really didn’t think I would join her, I was planning to go back to the office on Tuesday but if you have ever been to Munnar and if you are as crazy about traveling as I am then you know I just couldn’t say no to this experience. She was a digital nomad and for once in my life, I took the risk of doing something without really planning it. I joined her and went to Alleppey with her but I did not stop there, I continued till Kovalam and stayed at Varkala and Kochi too on the way. I cannot tell you how amazing it was, those two weeks were easily the best 2 weeks of my life. There have been a lot of trips till now. But that solo trip of mine when I decided to explore Kerala for two weeks while working will remain the best trip of my life. So, I took a general train ticket to Ernakulum and boarded the 5.30 p.m Kochuveli Exp train to Ernakulam. It cost me 185 INR for the general ticket and took somewhere around 11 hours to reach Ernakulam railway station(A lot of people don’t know but Kochi and Ernakulam are synonymous). If you plan to take the General coach for the first time, please know that you would be standing for the most part of your journey and there would be enough place to just breathe and do nothing else. I reached Ernakulum Railway Station early in the morning, around 4.30 a.m and then I had to search for the buses going to Munnar. Luckily, these buses started from just outside the Ernakulam Railway Station so I boarded a 5.30 a.m. bus for Munnar and reached my homestay at around 2 p.m.
Kerala is pretty well connected with buses so you would face no problems in reaching Munnar via bus and traveling around on a budget. For the rest of the day, it rained so I just relaxed and explored my immediate surroundings. My homestay wasn’t in the main Munnar city so we were surrounded by tea gardens and quite a peaceful environment. I walked around on my own and since the road wasn’t crowded, I could enjoy a peaceful evening walk. The next day, I started early for the various Munnar spots like Top Station Viewpoint, Mattupetty dam, Tea gardens, etc. but more than these popular tourist points, I enjoyed the random stops in between. Yes, I stopped at a lot of places in between and just strolled around to enjoy the view. You can take a bus to the Top Station from the Munnar bus stand and can get down at random stops on the way. Trust me, this was way better than stopping at the tourist spots as I didn’t have to deal with the crowd and you get to walk around at your own pace. You also stumble upon amazing lunch stalls and meadows on the way. I also made a friend while exploring and we had a wonderful time exploring and talking to the locals. It rained a couple of times but only for a short duration and during that time, we would take cover in the nearest shaded area. We came back to the homestay by 7 in the evening. After that, we just had dinner and talked to a few other travelers and then went off to sleep. 2018 Update: A special treat for people who are currently heading to Munnar. You can also witness the blooming of a special blue flower, Neelakurinji. This flower blooms only once in every 12 years and the last year when this happened was in 2006. After 2018, the next flowering will happen in 2030 so better not miss this opportunity now. You can see this flower blooming from the month of July till October in a few places in South India. You can witness this blooming in the Eravikulam National Park in Munnar but you need to be quick. The Forest Department has restricted the number of people entering the park during this time to 3500 so as to preserve the flowers. So, you will need to get onto a waitlist before you can actually observe this flower. However, this is not an event to be missed because now you will see the entire Munnar hills covered in a blue shade instead of green. This is one of those few rare phenomena so if you stay near Munnar or are planning to take a trip, don’t miss out on this golden opportunity. Apart from Munnar, you can also watch the Neelakurinji bloom in places near Kodaikanal. 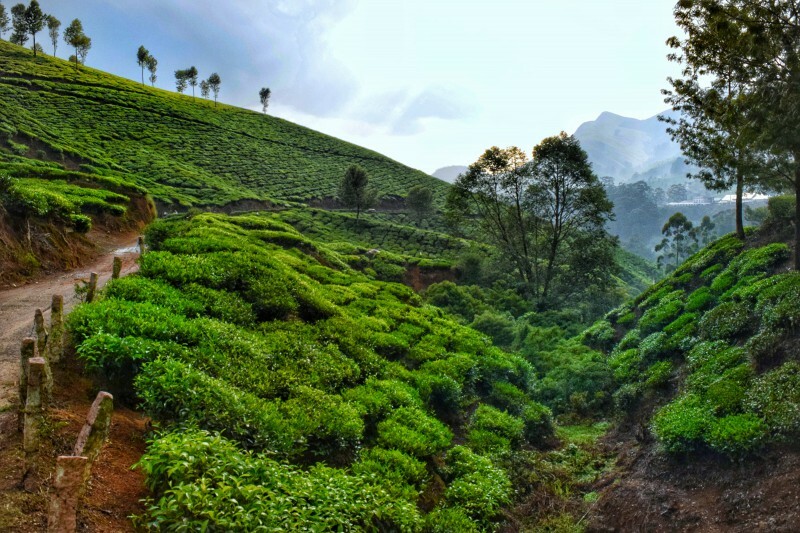 But if you want to be blown away by its magic then Munnar is the perfect place to watch it bloom. 2019 Update: The Neelakurinji bloom is over now and won’t occur for another 12 years. So, the next time you can watch the Neelakurinji flowers bloom is 2030. Next day, I started early for the Lakkam waterfalls and spent some time over there. I met my previous day’s traveler friend again and we were planning to visit the Ernakulam national park but due to the large crowd, we chucked the idea and took a bus together to Munnar instead. Here we had an early breakfast and she asked me to join her at Alleppey. I kept on contemplating the idea but it was too good an opportunity to miss so I said yes and off we went. I have trouble letting go and I often keep on looking at the past. So, this year, I have decided to start learning how to let go. I have decided to start with my fears, things that I avoid. I fear change and I fear not being able to travel. So, this year I am going to stop being afraid. This year I am going to start by letting things go. #Alleppey blog post is going to be out soon. Missing my #Kerala trip a lot!! We took a bus to Ernakulum Bus station which took us around 3-4 hours. And we saw such gorgeous waterfalls on the way. From Ernakulam, we took another bus to Alleppey which took 1-2 hours to reach. Totally, it took us around 5-6 hours to reach Alleppey from Munnar. And, what an amazing view the road offered to us. I cannot even begin to tell you how mesmerizing all of it was, you have to see it for yourself. So, Monday night we reached Alleppey. 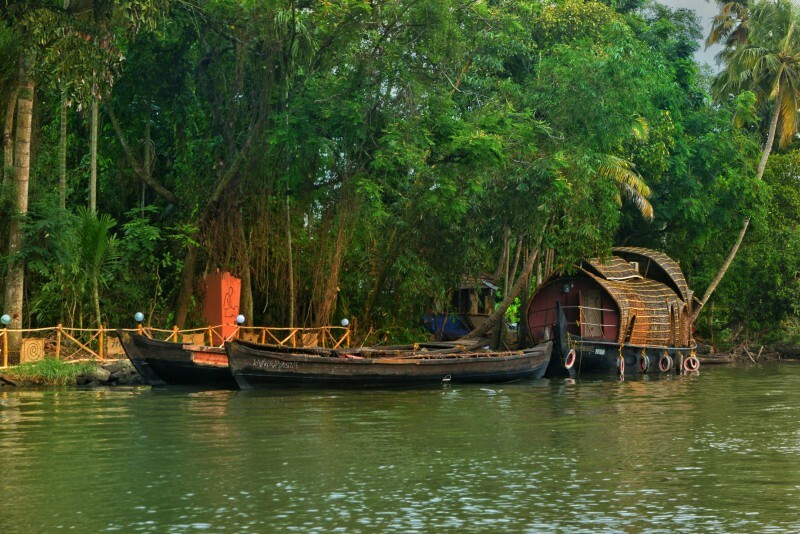 I was completely blown by Alleppey’s beauty, it felt like I had entered a completely new world. With water canals around and the caravans parked at various spots in the river while the sunset gave off a golden hue, it felt like a dream. We had some difficulty in finding our hostel here because the owner’s phone was out of reach. But while we meandered around for an hour, I completely fell in love with Alleppey. The next day, we went for an early walk beside the Alleppey backwaters area and asked about the houseboats. We worked then for a few hours and in the evening, we left to explore our surroundings. Everything around us was absolutely gorgeous, the water canals, the palm trees. It was the stuff of movies. 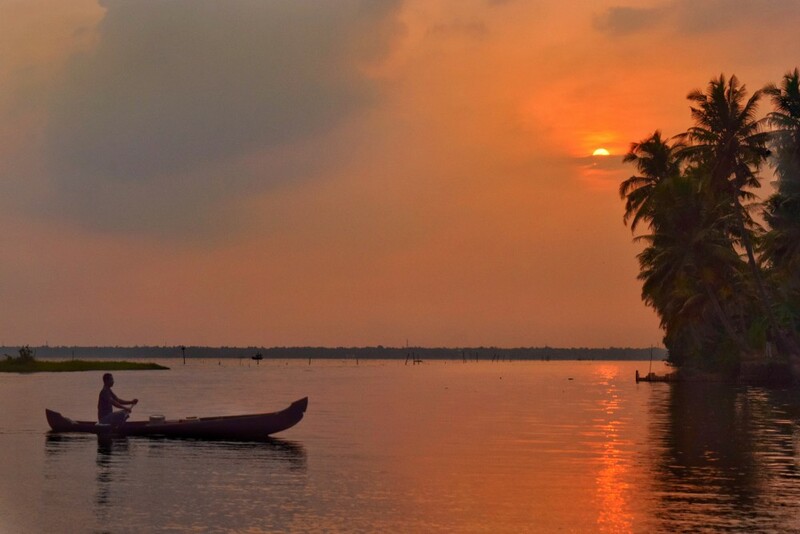 Alleppey is one of those beautiful places where you can just laze around and no one will disturb you. Yes, you might find a few people here and there who would pass comments on you. However, you will also meet a series of people who would be helpful and kind to you. After our explorations, we had dinner at a nice restaurant and then went to sleep a little early. After all, we had a big day ahead of us. We had booked a houseboat for 2600 INR for two people from Thanneermukkom which was just 45 minutes from Alleppey. So, we took a bus from Alleppey bus stand and reached this place. We enjoyed a delightful day on the houseboat while enjoying the view around us and eating really delicious food here. We were also accompanied by a family of four and the houseboat was really big and equipped with all the major amenities. It took us near the Kumarakom bird sanctuary and we spent the night anchored to its shore. I witnessed another amazing sunset here. Yes, yes. I am obsessed with sunsets! 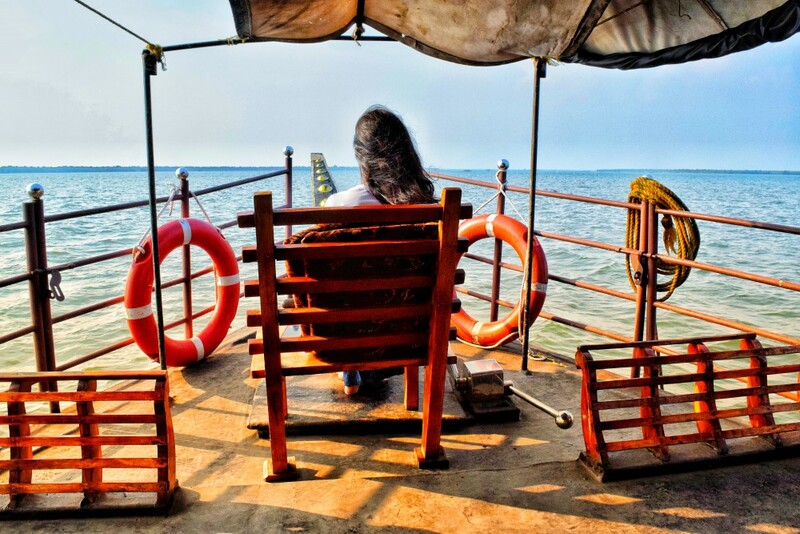 If you ever go to Alleppey, make sure you don’t miss out on the Houseboat experience. 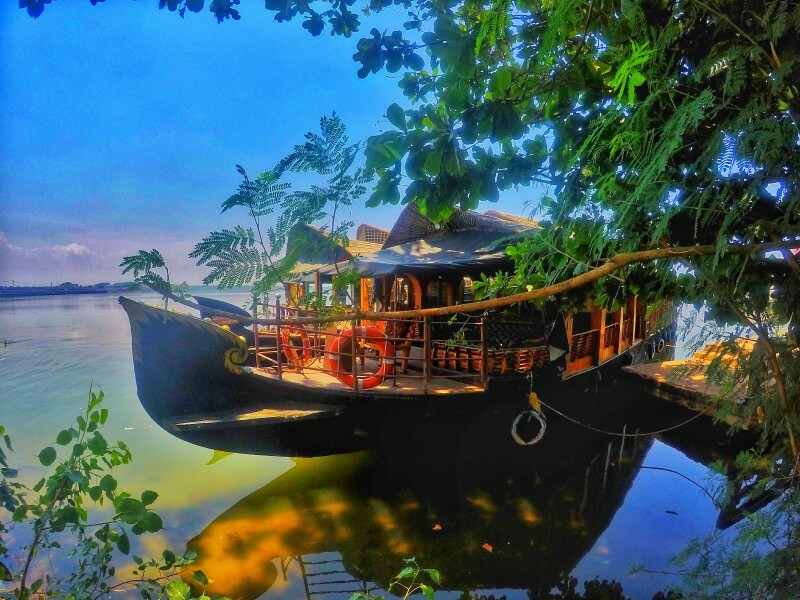 A trip to Alleppey without spending a night in the Houseboat is a trip incomplete. It was easily one of the best experience of my entire Kerala trip. Note: For Houseboat bookings, only book it directly with the owners if you are a big group of people else you would be asked to pay a minimum of 4000-5000 INR for the half houseboat. We booked our houseboat online and it cost us just 1300 INR for one person. You can use sites like Goibibo.com or Booking.com for booking reasonable houseboats. We reached back on the shore around 11 a.m in the morning and took a bus back to Alleppey from Thannermukkom and relaxed a little. 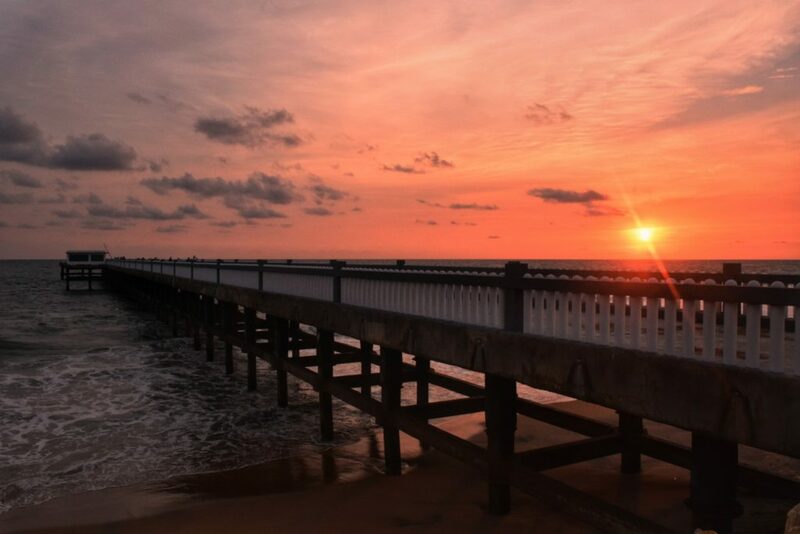 In the evening, I went to the Alleppey lighthouse and then to the beach and stayed there till the sunset. Alleppey beach is a little crowded but the pier view is really stunning over here. At night, we came back to our stay area and I shopped for 2 pairs of clothes as I just had 2 pairs of clothes originally with me. We bought a few souvenirs and then retired to our bed. We started the day a little late because we had a Shikara ride booked for the evening. So, around 4 p.m, we left for the Shikhara ride around the Alleppey Backwaters. The ride cost us around 400 INR per person for 2 hours. For those 2-3 hours on the boat, we just lazed on the deck of the Shikara and enjoyed our slow and peaceful venture through the backwaters. After that, we had an amazing dinner at one of the local restaurants there named Thaff Restaurant in just 135 INR. 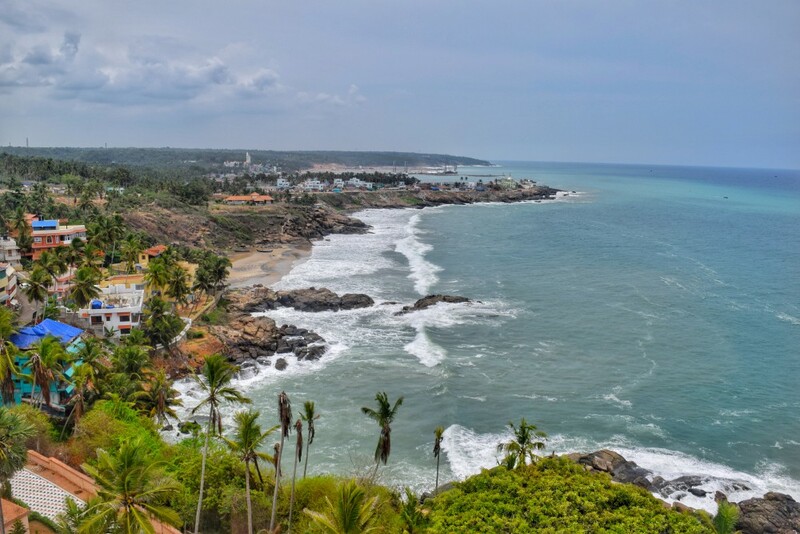 Next day, I left early for Varkala as I had planned to stop on the way to see the famous Krishnaraj Palace(You would be familiar with this name if you have read the Mahabharata). Krishnaraj Palace is as secluded and peaceful place and is surrounded by trees and a beautiful garden. One can easily get lost in the history of this place and the homeliness of it. It took me around 4-5 hours to reach Varkala by bus and cost me around 70 INR. I had to change 2 buses to reach here as I stopped on the way but you can easily reach Varkala by just changing 1 bus. By the time I reached the Beach, it was burning hot at 2 p.m. and I was really tired due to the long walk from the bus stand. So, I just took a quick bath and slept for a couple of hours. Around 4 p.m., I finally woke up and went out to the beach and watched the storm from afar. We just hung out at the beach for a while and explored the various eating joints and shopping stores in Varkala. I shopped a little and ate a delicious dinner while looking out at the sea. 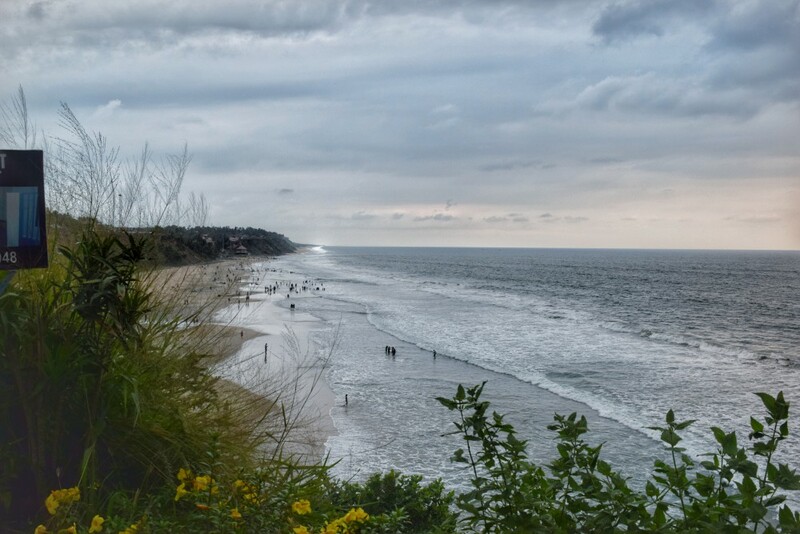 Varkala is really gorgeous and has a beautiful cliff beach. One can spend a few days here easily, just looking at the sea and gorging on the delicious food but it is a little costly compared to other places in Kerala. On my next day in Varkala, I got up a little early around 8 a.m. and then headed out o the beach to relax and chill. It was a little sunny and a lot of people were swimming on the beach and the waves were quite rough at the time. I got drenched by a totally unexpected wave but it was totally worth it. After a couple of hours, I went to have breakfast at The Juice Bar. Trust me, this is an amazing place for having breakfast as it offers a good quantity of food which is both delicious and filling. We stayed at this place for another 2-3 hours, just talking and looking out at the sea. Then we went back to the hostel because afternoons in Varkala are super hot and you can easily get burnt. At 4 p.m., we went over to the Varkala cliff and went for a long walk along the beach. We saw the famous Janardhana Swamy temple from the outside and then walked back all the way to our favorite eatery joint. After some time, we finally retired to our bed, tired yet happy. Today, I was headed for Kovalam and my friend was going to Wayanad so we bid each other farewell at the Varkala Railway Station. This was the furthest point that I traveled to, Munnar to Kovalam was a journey I knew I would never forget. I took an early morning train to Thiruvananthapuram from Varkala and reached there in around an hour. From here, I took a bus to Kovalam beach which took another 45 minutes. I checked into the hostel at 11 a.m and then took a bath as it was blazing hot. Then, I went to the beach and roamed around a little. You can also sit down at one of the beach beds for 50-100 INR per hour depending on your bargaining skills. I was quite hungry but I didn’t want to shell a lot of money for the beachside restaurants so I asked a local person here about a cheap place to eat, he pointed me towards a home eating join. I had lunch at a small home which was both delicious and cheap. In Kerala if you are looking for cheap and amazing fish to eat, then you should check out these small home eatery places, they are really good. In the evening, I watched the sunset from the beach and just hung out here for some time. Kovalam also has a beautiful lighthouse but it is closed on Mondays so I had to wait until the next day to visit it. I got up around 9 in the morning and went over to the famous Kovalam lighthouse. 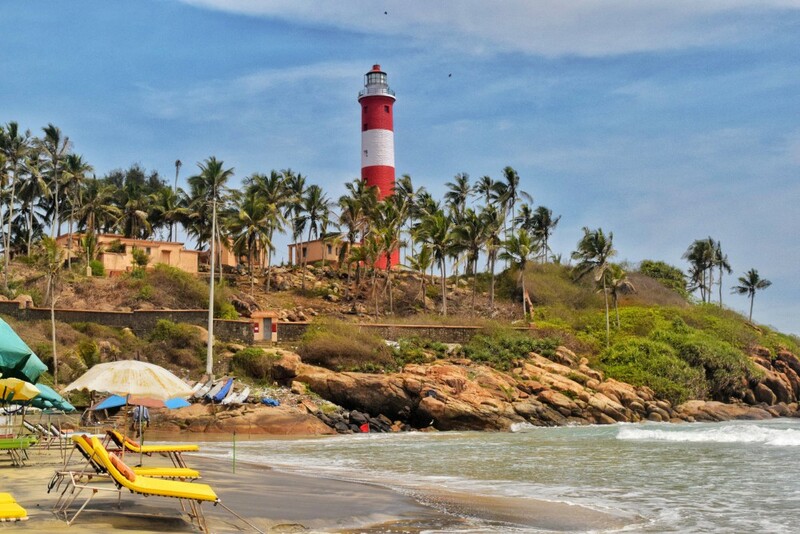 It is a beautiful lighthouse and from the top, you can see most of Kovalam and the wide stretch of the sea. The wind is really strong here and you can lose stuff easily if not careful. I spent an hour or two at the top of it and then headed towards the beach for some time. Then, I left for the Trivandrum railway station. I spent a couple of hours here before I headed to the Valiathura pier to watch the sunset. Yes, I am a sucker for sunsets! Although there is not a lot to see in Trivandrum, the beaches are quite nice. And the Valiathura pier is really stunning in the evening light. Then I headed back to the railway station and waited for my night train to Ernakulam. My final stop was going to be Kochi after all. At 1 a.m, I boarded the train and at 5 a.m, I reached the Ernakulam railway station. Here, I spent an hour and then I took a bus to Fort Kochi. That took me another 1.5-2 hours and I finally reached Fort Kochi at 8 a.m. I slept for a while and then I got ready to go out. At 3 p.m., I left for the Santa Cruz Cathedral Basilica and spent an hour over here. Then, I headed to the Fort Kochi beach and spend some time here looking at the violent waves. You can also see the Chinese Fishing nets here which is really beautiful to look at. Fort Kochi resembles many Portuguese architectures and if you explore it a little, you might stumble upon many beautiful street arts over here. I also met a school friend here and we had a dinner at a nearby place as it started pouring rainfall. We talked for a while and then, it was time to head back to the hostel. In my hostel, I had made friends with a few other travelers so we talked for a while. Around 2 a.m., I finally went to sleep. Looking for how you can make the most of your time in Kochi? Then, check out this article on things to do in Kochi! I started early morning to visit the famous Mattancherry Palace, Jewish Synagogue, Jew street road, and so on in Fort Kochi. I walked from my hostel to these places and spent around 4-5 hours roaming around. Also, I explored the amazing street art on the way. At 1 p.m., I finally left for Ernakulum as I had a bus to catch to Bangalore from here. 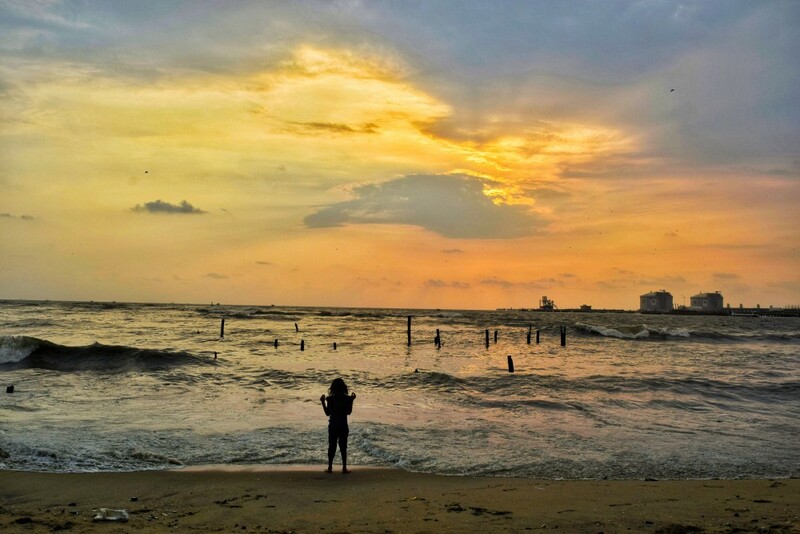 Here, I spend some time at the Ernakulam’s Marine Drive and I must say I was pleasantly surprised by it. It was clean and surrounded by many trees and plants. I met my school friend here and we drank Kalukki Sharbat(It is a must try drink!!!) at a shop nearby. Finally, around 3 p.m. I reached the bus station and left for Bangalore. And I reached the next day early in the morning, around 6 a.m. This Munnar to Kovalam trip was my one of the most impromptu trips so far. And frankly, it was quite amazing too and I am glad I did it. Thank you so much Ayush! Thank you so much. Glad you loved our pictures and the story. Can you suggest if i can take this trip in November-December months? Please mention where did you stay in this trip. can you please tell me which hostels do you stay in this trip. Just do the same and you will find numerous hostel options.